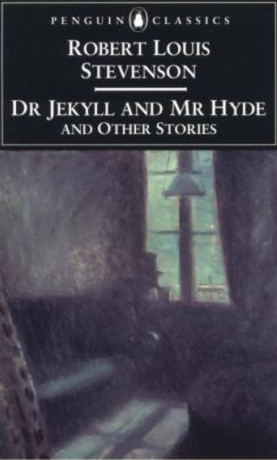 Before reading The Strange Case of Dr Jekyll and Mr Hyde, I could have sworn I’ve read it already. It’s one of those tales most of us are so familiar with that it’s easy to understand why I thought so. It’s always interesting when we then finally read one of these books, to see how much of what we thought we knew corresponds to what the book is really about. In this case, funny enough, hardly anything. Yes, there’s a doctor, Dr Jekyll, who experiments with a substance that turns him into his evil alter ego, Dr Hyde, but that’s it. The finer details were completely different and so was the structure. I’d expected a first person narrative, from beginning to end, a bit like some of Edgar Alan Poe’s tales, but what I found is a rather diverse structure. At first some acquaintance of Dr. Jekyll tells the tale or rather, how he meets Mr Hyde and how revolting he finds him. Then there are other people’s stories and finally letters from Dr. Jekyll. The most interesting bit however is the psychological dimension of the story. I had thought that it was a bit of a black and white tale. Good Dr Jekyll turns into evil Mr Hyde, which isn’t entirely the case. Dr Jekyll is far from a good person and at first, he relishes Hyde’s evil deeds. It’s a lot as if his repressed urges surface and he can finally do what he always wanted. Initially what he does is merely shocking, but then he becomes truly murderous. I learned to recognize the thorough and primitive duality of man; I saw that, of the two natures that contended in the field of my consciousness, even if I could rightly be said to be either, it was only because I was radically both. I’m not going to say much more, I’ve already revealed a lot. I liked reading this very much. Not because of the story as such and definitely not because of the structure which I felt didn’t work so well, but because of the atmosphere and the writing. The descriptions of foggy London at night are eerie and atmospheric. Although, one might question, if its really London Robert Louis Stevenson had in mind. My foreword tells me that the descriptions match Edinburgh far better than London. While I liked large parts of this novella for the descriptions and the psychological and philosophical aspects, I think that for us, today, it’s also a problematic tale because of the description of Hyde. Hyde is evil and that’s easily detected by people who see him because he’s ugly and deformed. He is not easy to describe. There is something wrong with his appearance; something displeasing, something downright detestable. I never saw a man I so disliked, and yet I scarce know why. He must be deformed somewhere; he gives a strong feeling of deformity, although I couldn’t specify the point. He’s an extraordinary-looking man, and yet I really can name nothing out of the way. No, sir; I can make no hand of it; I can’t describe him. And it’s not want of memory; for I declare I can see him this moment. Nowadays, in speculative fiction, nobody would get away with describing an evil person in the way Hyde is described. It’s not only that he’s ugly and deformed but it’s said that one could easily sense that he was evil because of the way he looked. The Strange Tale of Dr Jekyll and Mr Hyde is a classic of Victorian literature and now that I’ve finally read it, I can see why. What it says about the duality of human nature is interesting and still valid. If you’d like to read another review of the novella, here’s a review on Brian’s blog. I know that there are several film versions of this story, but I’ve never watched any. Which one would you suggest?